The Weekend Aesthetic is a feature where I post book aesthetics on the weekend. They might be of a book I’m currently reading. recently read, read a long time ago, or even one I consider to be a favorite of mine—there’s no rhyme or reason to it! 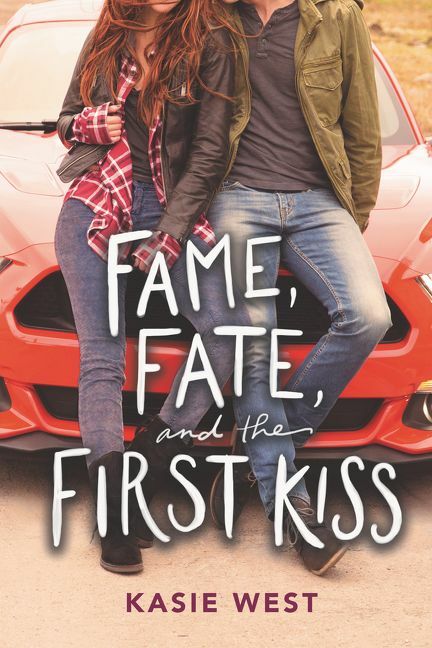 Kasie West writes the cutest YA romances, and I was especially excited for her latest, Fame, Fate, and the First Kiss, because I am a sucker for stories taking place on movie sets. Fame, Fate, and the First Kiss was such a fun read and I couldn’t get enough of it! I loved Lacey and her outgoing personality and how it contrasted with Donovan’s more quiet demeanor. I really enjoyed watching Lacey on set and how she interacted with the cast and crew. Plus, the movie script was included in-between chapters provided a fun addition. I definitely recommend this book! Lacey Barnes has dreamed of being an actress for as long as she can remember. So when she gets the opportunity to star in a movie alongside one of Hollywood’s hottest actors, she doesn’t hesitate to accept the part. But Lacey quickly learns that life in the spotlight isn’t as picture perfect as she imagined. She’s having trouble bonding with her costars, her father has hired the definition of a choir boy, Donavan Lake, to tutor her, and somewhere along the way she’s lost her acting mojo. And just when it seems like things couldn’t get any worse, it looks like someone on set is deliberately trying to sabotage her. As Lacey’s world spins out of control, it feels like the only person she can count on—whether it’s helping her try to unravel the mystery of who is out to get her or snap her out of her acting funk—is Donavan. But what she doesn’t count on is this straight-laced boy becoming another distraction. With her entire future riding on this movie, Lacey knows she can’t afford to get sidetracked by a crush. But for the first time in her life Lacey wonders if it’s true that the best stories really do happen when you go off script. Have you read any of Kasie West’s novels? Thank you! And I definitely wish there was more of the romance too! It was super sweet but would have loved to see more f it. I love this aesthetic and now I am even more excited to read this one! I have a bunch of Kasie West books on my shelf but haven’t read any. Maybe I should bump them to the top!